Smarkets is an ‘advanced trading platform’ which is slowly but surely growing in stature. The betting exchange market has been largely dominated by Betfair since they opened their doors back in June 2000. 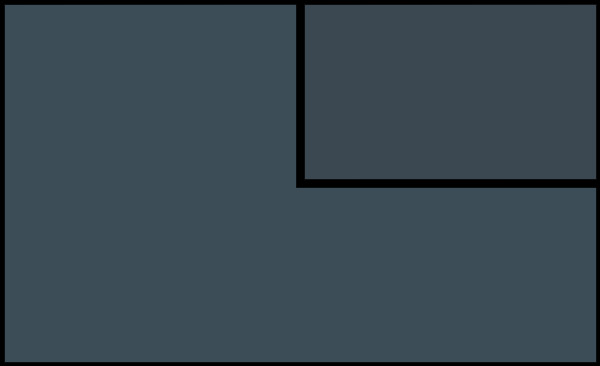 In fact, the hugely successful company went as far as to buy out rival services, such as Flutter, in order to corner the market. For a long while there were few other betting exchange websites to turn to. However, the rapid growth of the online gambling industry - and betting exchanges in particular - has opened up new opportunities for companies looking to capture some of the market for themselves. Enter Smarkets... now one of the best betting exchange sites available in the UK and aiming to firmly establish itself with football traders. As previously mentioned, Smarkets is an online betting exchange (much like Betfair) which offers an alternative method of wagering to the system used by traditional bookmakers. Whereas betting through a bookmaker, such as Bet365, sees you betting directly against that company, betting exchanges operate by connecting you with fellow punters who believe that the outcome of an event will be different to your prediction. What this means is that bettors aren’t limited to ‘backing’, or betting that an outcome will occur, as exchange betting also requires somebody to bet against, or ‘lay’, an outcome. For example, if you bet on Arsenal to beat Tottenham, the exchange system will pair you up with somebody that is betting on Arsenal not to beat Tottenham,which would cover both a draw and a Tottenham win. By removing the bookmaker from the equation, punters are guaranteed better odds and better returns as a result of winning bets. This is because traditional bookmakers set their odds in order to ensure themselves a return the vast majority of the time, by shortening the odds on each outcome to guarantee that they take some of the winnings no matter what the wager. Betting exchanges, on the other hand, do not set their own odds. Instead, the odds are calculated by the punters themselves, changing depending on demand and wagers placed. Rather than banking on you losing your money, betting exchanges rely on you winning your bets to make their money, as they take a cut of your winnings. Smarkets commission is a flat rate of 2% of your net winnings which is significantly lower than the 5% commission charged by Betfair. It is this that prompted Smarkets founder Jason Trost to launch a service capable of rivaling the betting exchange heavyweights. In addition, Smarkets offers a wider range of markets to bet on than those offered by Betfair. The service has open markets for a wide range of sporting events, from football to horse racing to handball, as well as a selection of other, less common markets. The service is particularly making a name for itself for its political markets, which allows us to bet on everything from next world leaders to which political parties will win control of certain areas in elections. Likewise, there are also a range of markets which focus on current affairs and entertainment, such as the Oscars and X Factor winners. The one major weakness is liquidity. Betfair retains a massive proportion of the total market share and it's proving difficult for any new betting exchange to make headway, despite the fact that none of the others hit their most successful traders with a Premium Charge. There could well be a shift away from Betfair over time, however, as the industry continues to develop. We'll have to wait and see. 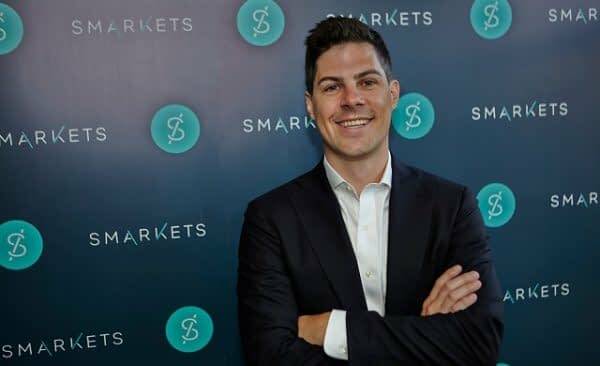 Smarkets is still a relatively new company, founded in 2008 by entrepreneur Jason Trost and his good friend and business partner Hunter Morris, who decided to ditch their careers in the United States to move to London and build a service that could rival exchange giants Betfair. Trost was the brain behind Smarkets and anybody that knew him would tell you that he was always likely to come up with a winning idea. As a youngster, Trost aimed high, frequently expressing his desire to become a professional baseball player or the president of the United States - his political aspirations are still there, with the Smarkets co-founder often stating his desire to move into politics later on in his life, but for now he sits at the helm of one of the most promising companies in the world. Jaston Trost began working on the Smarkets platform back in 2008. Likewise, he also displayed a particular knack for business as a youngster, going door-to-door selling wrapping paper during the holiday periods and went on to design advanced computer software, which provided patients with the ability to self-diagnose their ailments and illnesses using lab test results, during his time at university. Trost finished his university education in 2003, graduating from Northwestern University, Chicago, with a degree in Computer Science, and soon after began trading equities for a local company. Within a year of leaving university, Trost began to develop an interest in the betting industry. While most of us get into trading through an interest in sport, whether that be football or horse racing, Trost’s entry into the betting exchange sphere came via the 2004 United States presidential election, in which Republican candidate George W. Bush was reelected over Democratic nominee John Kerry by 50.7% of the vote, compared to Kerry’s 48.3% share. Trost was particularly interested in the fact that betting exchanges offered a different opinion to what is being reported by the media. Say, for example, if a ‘dirty secret’ comes to light about a particular candidate, this would undoubtedly be reported as a game changer by the press. However, changes in betting markets would provide a much more realistic idea of how these revelations would affect the eventual outcome of the vote. While betting exchanges had a new fan in Trost, the American quickly realised that there was still plenty of room for improvement. First and foremost, the emerging entrepreneur realised that money, cost effectiveness in particular, is a huge driving factor in persuading customers to choose one service over another. With a 5% commission charge, Trost believed that by cutting his cut of the winnings, he could take some of Betfair’s traffic. However, it isn’t just the financial benefits that are driving users to their service. As a developer, Trost also recognised that Betfair’s interface was complicated, clunky and at times slow - a view that was shared by many of its customers. While working as an analyst for asset management company UBS, Trost set about developing a streamlined system that is both fast and efficient. By 2008, backed by a group of European investors, including Deutsche Telekom (the parent company previously behind telecommunications provider T-Mobile) and former Last.fm chairman Stefan Glaenzer, Trost and Morris quit their jobs and moved to London to begin working on the start-up full-time. By 2009, the final product, which now powers the Smarkets desktop site, was complete and ready for launch. Capable of handling thousands of transactions per second and processing them within milliseconds, all Smarkets needed to be a success was customers. Following a beta test, which confirmed that the Smarkets platform was in working order, the service officially opened to the public in February 2010, with markets for UK football, Champions League and the upcoming 2010 FIFA World Cup available. The Smarkets website had just six categories when it launched back in 2010. By the end of the year, Smarkets had already taken more than £1 million worth of bets and traffic was beginning to pick up. Identifying the demand for new markets, the company set about expanding their offerings, starting with horse racing a year after their launch. By November 2011, Smarkets had seen £50 million trade hands as a result of wagers on their marketplace and surpassed the £100 million mark just five months later. Smarkets’ launch had been a huge success and it was beginning to emerge as a genuine contender for Betfair’s throne. Trost, now viewed as an expert in the online betting field, has been justly rewarded for his hard work, having being named Innovation Entrepreneur of the Year at the 2016 Great British Entrepreneur Awards. Likewise, Smarkets was also voted as one of the UK’s most innovative, up-and-coming businesses at the Startups 100 awards in 2012. The popular platform has since emerged as the go-to website for political betting. It still lags behind Betfair in terms of numbers and figures in the sports betting markets, but Smarkets has successfully achieved its aim of launching a service that can rival the Betfair empire, and it continues to get bigger and bigger each year. 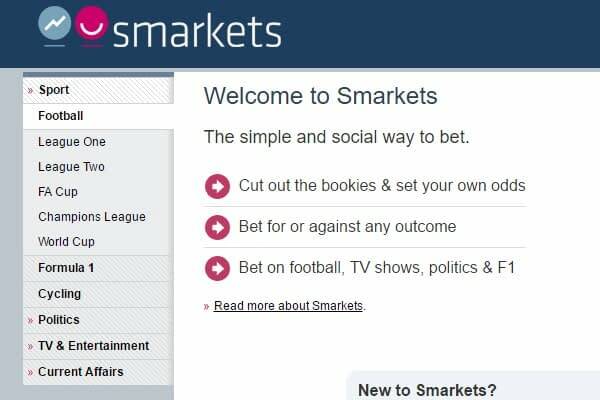 If you're into matched betting, then you will probably have a Smarkets login already. When Betfair has technical difficulties, you will need access to another exchange in order to trade out of open positions and reduce the risk of hefty losses. By trading at exchanges other than Betfair, you will reduce your exposure to Premium Charge. 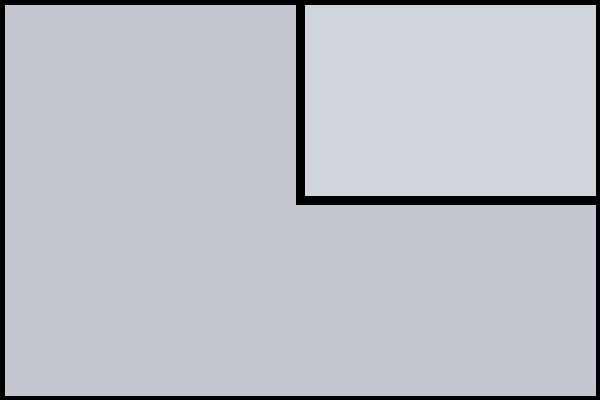 Even if you're not at that level yet, paying 2% commission is preferable to 5%. The Smarkets sign up offer varies, but you will almost always be offered a £10 free bet. Click on the banner below to find out what the Smarkets new customer offer is right now! BETDAQ Betting Exchange: Can it Challenge Betfair? The BETDAQ betting exchange set out to challenge Betfair's dominance, but Smarkets and Matchbook have since joined the party. Can Ladbrokes finish the job? Betting exchanges explained in full, including: What does back and lay mean? How does Betfair calculate commission? How does Betfair's Premium Charge work? The Betfair sportsbook and exchange is essential for matched bettors and professional football traders alike. Discover what makes it the best betting exchange. I can see Smarkets being the leading exchange in coming years. Trost and Co have their heads screwed on… take note, Betfair.